AKIPRESS.COM - Mountaineer B.Gangaamaa has returned to Mongolia after successfully climbing the Mount Vinson Massif, the highest peak of Antarctica. 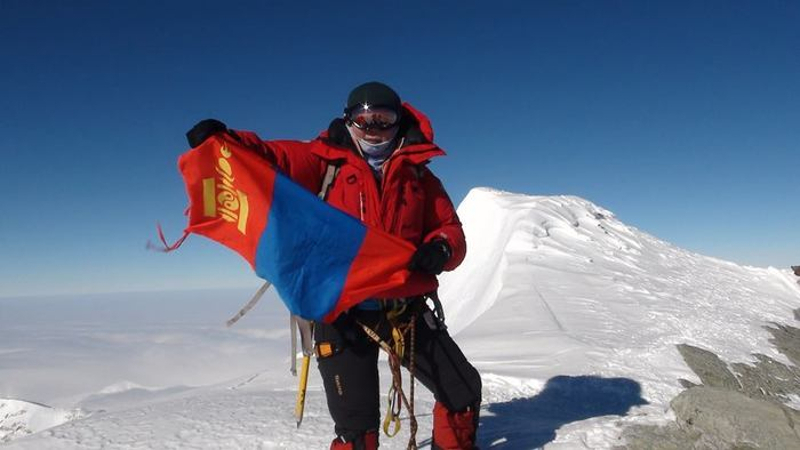 In reaching her goal, she became the first Mongolian woman to conquer the mountain and the first Mongolian "Seven Summiteer", reports news.mn. At 7:15 pm (Chilean time) on Christmas Day B.Gangaamaa, who is a State Honoured Sportswoman, finally stood upon the Vinson Massif thus becoming one of the 416 Seven Summiteers from around the world. In 2010, she climbed the Mount Elbrus (5642 m) in Russia, the highest peak in Europe. In 2011, Mount Everest (8848m), the highest peak in Asia and the world's highest mountain. In 2012, Mount Kilimanjaro (5895m), the highest peak in Africa. In 2015, Mount Denali (6190m), the highest mountain in North America, until August 2015 it was known as Mount Mc Kinley.